This weekend, hundreds of Chinese and Asian men will gather in New York to battle for the oldest streetball title in Chinatown. Streetball, or 9-Man, is a variation of volleyball that started here in Boston and Providence, amid racial oppression and segregation in the 1930s. The game's roots were captured in the 2014 documentary, 9-Man: A Streetball Battle in the Heart of Chinatown. Film director Ursula Liang set out to find the heart of the game, traveling across the country and to China. 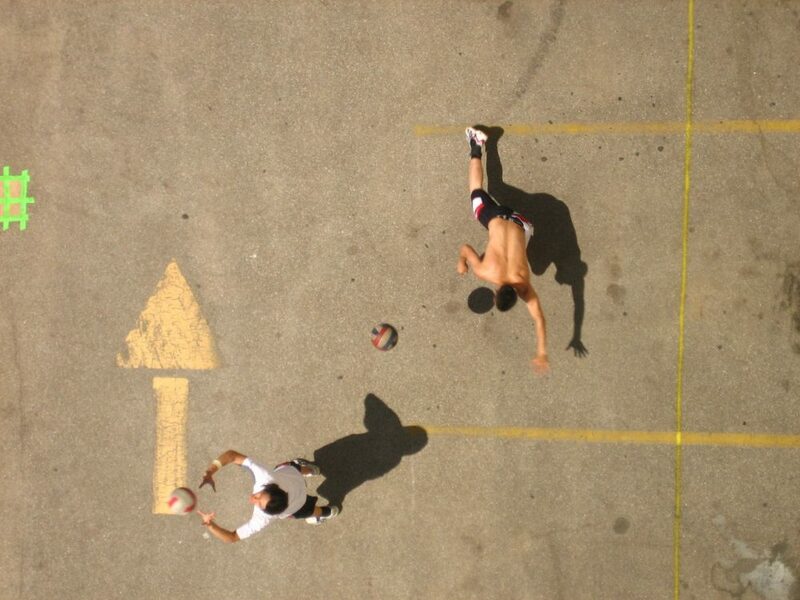 You can watch 9-Man: A Streetball Battle in the Heart of Chinatown now online. Ursula Liang, director of 9-Man: A Streetball Battle In The Heart Of Chinatown. She tweets @UrsulaLiang and @9ManDoc. Robert Guen, coach of the Boston Knights, which tweets with other 9-man teams @BostonSpikeOff. The Boston Knights C team came in second place in the Bronze Division at the 71st NACIVT in 2015. "The North American Chinese Invitational Volleyball Tournament (NACIVT) is an annual volleyball tournament held on Labor Day weekend to bring together Chinese communities from around the United States and Canada. Since its inception in 1935, the tournament has grown considerably and has over 1,500 players participating in it each year." "In Chinatowns across the U.S., Chinese-Americans play an intense, Asians-only, “street” version of volleyball, spiking ethnic stereotypes to the ground and proving the Houston Rockets point guard isn’t the only one with the moves. This isn’t a mild-mannered game. Nine-man, which features nine players instead of the traditional six, is typically played on asphalt – sometimes littered with broken glass – an urban chaos of bloody knees and flaring tempers."